Actors who spend money to support information exchange would be allowed to recover those costs by charging fees. 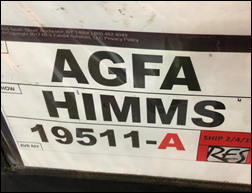 EHR vendors would not be allowed to charge for using their APIs, except in charging providers who use them or vendors who offer value-added services. Fees would be cost-based, objective, and consistently applied. 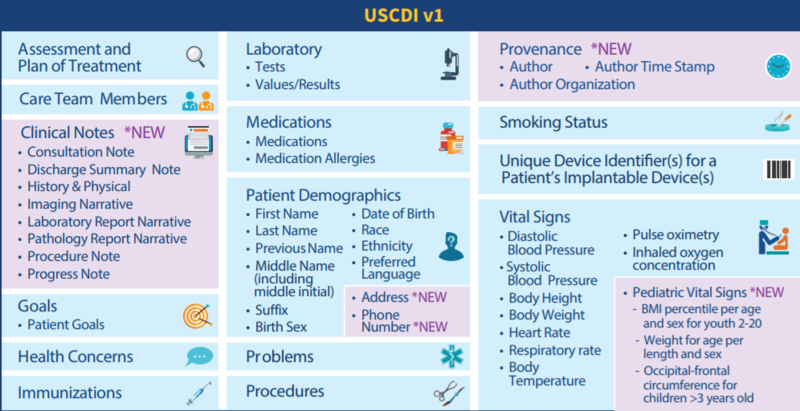 All EHR vendors would be required to support USCDI Version 1 as a standard. APIs would be certified and vendors would be required to use the SMART Application Launch Framework Implementation Guide. They would be required to post API specifications publicly. 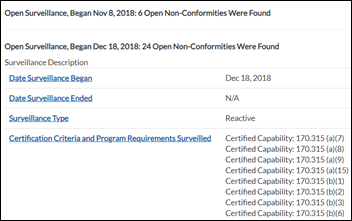 EHR certification would be expanded to include the product’s ability to export data to allow users to convert to another product. EHR certification would be expanded to include pediatric care criteria. Charging patients excessively to obtain their own information when they paid to have it created in the first place is information blocking. That’s going to be a big one that the American Hospital Association is sure to vigorously protest. Text me news, rumors, photos, and booths I should visit this week, then watch for your items to appear anonymously in my daily recaps if I find them interesting. A couple of folks asked me about my burner phone, which actually is an app called Burner rather than a physical phone. 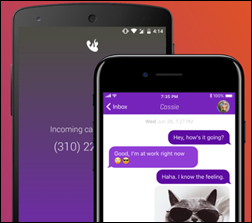 It’s easy to set up, slick, and cheap ($4.99 per month, no commitment, unlimited texts and calls). You get a new phone number that you can give out freely since it’s not traceable (no caller ID) and is disposable (apparently it’s good for Craigslist, online dating, signing up for online services that require phone verification, and probably stalking). The texts and calls flow to your phone normally, but through Burner inbound and outbound, so your actual cell number is never exposed and your cell bill shows only your Burner number. Folks who are doing something far more sensitive than I can delete their Burner and all associated records by literally just pressing one on-screen button, which I suppose is a benefit if you anticipate an “FBI, open up” knock at your door. I’m just using it because I ran across it and was intrigued. I checked the online HIMSS shuttle schedule while waiting at the designated spot. It suggested using the real-time shuttle location app, which was actually a web page and not an app. Perfect – it said a shuttle would be arriving in one minute. Then the one minute changed to 23 minutes, then to seven, then to six, then to 16 … and by then I had waited quite awhile and gave up and called for a Lyft ride. 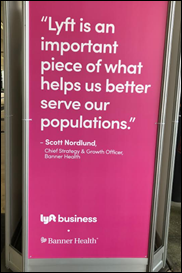 Unlike the HIMSS bus “app,” Lyft’s was deadly accurate. I was anxious to pick up my conference backpack so I could transfer all the junk in my hands and pockets. 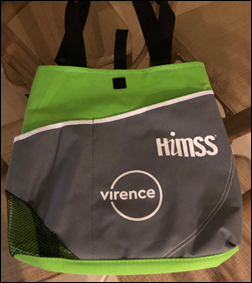 That didn’t happen – for the first time that I can recall in my long HIMSS conference history, the official HIMSS bag is a actual tote instead of a backpack. It holds a lot less, but more importantly, it can’t be slung over my shoulder, meaning I’ll be spending all week with one hand dedicated to lugging it around. I nearly brought along my travel backpack from home since I didn’t want to be without it for even the few hours of travel (much less for a week), but alas, I made an incorrect assumption that its presence would be, as it has been every year, redundant. Vendors in the exhibit hall, this could be your moment in the sun if you brought giveaway backpacks – let me know and I’ll let everyone know (after first grabbing one for myself, of course). Tote bag (literally) pick-up didn’t go so well for me today because I couldn’t understand a word of what the person at the desk was saying because of her strong accent. However, I celebrated whatever culture she is or was part of since it’s good reminder that the industry isn’t just white-bread tech geeks and frat boys salespeople any longer (having a clear memory of when it was, and when male nurses and female executives were unheard of). The exhibit hall was like a summer day in Vietnam – swelteringly hot, loud, and dangerous with vehicles (fork lifts and tractors) careening in all directions following no apparent rules and with little regard for pedestrians. The heat levels, caused by having the massive load-in doors opened wide on an 82-degree afternoon, sent me fleeing for the comfort of the air conditioned main halls after just a few minutes watching the pre-game show of geeky IT guys and swaggering equipment operators who were slowly turning the unsightly mess of packing boxes and rolled-up carpet into what you will see tomorrow. Tomorrow morning will be like Christmas. Vendors will be downing Starbucks in the hall after spending a tiring late night decorating the tree, stacking the presents, and turning on the twinkly lights. We kids will be pacing outside the doors, pressing our noses to the glass and fidgeting impatiently until the doors are flung wide so we can rush in to ooh and aah at the marvel of the tableau that was created just for us. It won’t be long afterward, however (Thursday, to be exact) before everybody will be sick of their new and often broken toys, the pre-holiday euphoria will have transformed into disillusionment, and various family members will have drunk too much spiked Kool-Aid and will have stormed off to their rooms in anger and then scheduled earlier flights home. 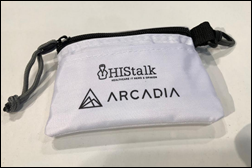 Arcadia has once again put together these invaluable conference first aid kits that you can get from their booth (#2915) or ours (#4085). This vendor’s packing crates luckily arrived at the right place despite the spelling error, which I expect to see a few more times this week in locations that are, unlike this one, public-facing. Our magnificent edifice is fully constructed, requiring one Lorre and zero Teamsters to pack it all in from the Lyft drop-off area since it weighs in at maybe 20 pounds total. I’m sure some overnight HIMSS inspector will correct the beneficial mistake in which we have two power outlets (having paid for none), three chairs (having paid for two), and a backdrop that is larger than the carpet (having paid for a 10×10 carpet to cover the same-sized space). I’m not sure that paying $6,000 for a mostly-empty square of concrete that will hold maybe $300 worth of homebrew furnishings makes good fiscal sense, so I will reevaluate in our post-show briefing call, which basically means I’ll ask Lorre if she thinks it was worth it. Her outlook will be more positive if fun people keep stopping by or new sponsors keep signing up. Tuesday 2:00 – 3:00: Nancy Ham, WebPT CEO, will offer advice to women in health IT on negotiating with confidence. Wednesday 10:00 – 11:00: Susan Newbold, PhD, RN, owner, Nursing Informatics Boot Camp. Wednesday 1:30 – 2:30: Stuart Miller, CEO, MindMapUSA. Thursday 11:00 – noon: Ben Rooks, founder and principal, ST Advisors. 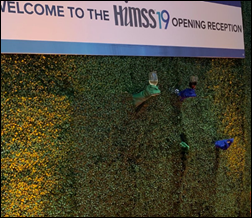 This video posted on Twitter shows KLAS celebrating its winners during HIMSS19. 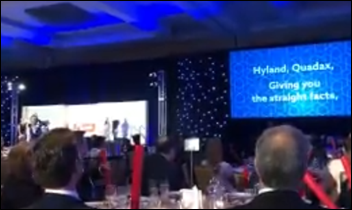 It’s nearly as cringey as that Siemens Healthineers forced merriment video from a couple of years ago, as the suit-wearing stiffs are cajoled by prancing funsters to sing along with the words on the screen (painfully woven to include the names of the winners in the lyrics) and to bang their sticks in appreciation as the script requires. Seriously, KLAS, shouldn’t you keep arm’s length from the vendors you purport to objectively review? Do you suppose Consumer Reports throws sing-a-long parties with car-makers after the April issue comes out? Would CR have lauded Volkswagen as a winner after the feds caught them falsifying their test results? Does everything in healthcare have to involve a party or self-promotional opportunity that might raise the question of WWPT—What Would Patients Think? Several folks sent me this odd feature of the opening reception, in which gloved hands protruded from topiary to offer drinks. I would have enjoyed hearing the HIMSS staffer pitching the idea of an alcoholic glory hole, or perhaps hearing the even zanier ideas that didn’t make the cut. I’m smiling (from the comfort of my super quiet office this week) of your description of the hundreds of exhibit installs I’ve done in my career … “The exhibit hall was like a summer day in Vietnam – swelteringly hot, loud, and dangerous with vehicles (fork lifts and tractors) careening in all directions following no apparent rules and with little regard for pedestrians. The heat levels, caused by having the massive load-in doors opened wide on an 82-degree afternoon, sent me fleeing for the comfort of the air conditioned main halls after just a few minutes watching the pre-game show of geeky IT guys and swaggering equipment operators who were slowly turning the unsightly mess of packing boxes and rolled-up carpet into what you will see tomorrow.” Nobody who attends shows knows just how exhausting and difficult the setup process is and how exhausted the staff is on opening day, only to have to appear unfazed by it all by corporate management who flew in the night before…. A question for HIMSS attendees. Every year I’m intrigued enough to consider attending, but never do. I am the Office/Billing/IT/Whatever Someone Else Isn’t Handling Manager of a small Primary Care office. One MD, one part-time FNP. Expansion plans involve, at most, bringing in another part-time FNP. I’ve talked to a few HIStalk sponsors in the past who have (kindly) advised me our office isn’t large enough for them to work with. 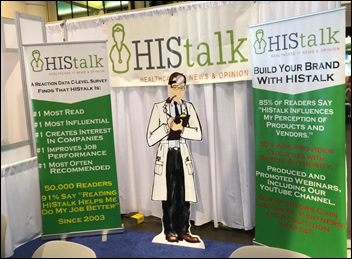 I tend to think my HIMSS experience would involve me stepping into a booth with an overzealous salesperson who would fairly quickly lose interest once they learn I’m with a small office with a small budget. Am I on target with that assumption? I think you are on track with that assumption. The return on investment for a small practice going to HIMSS is definitely negative. 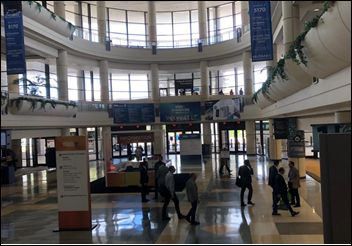 You might get more out of a conference that is targeted to practice management as opposed to technology, where there are still technology vendors present such as MGMA. You might also want to consider your EHR’s user group as there are more likely to be vendors who are used to working with small practices. Good luck! Thanks. MGMA has been a consideration as well, so I’ll put that one higher on the list this/next year. Our EHR user group meetings are always great – I’ll actually be in Orlando next month for one. As for HIMSS, I’ll just continue to live vicariously through you and Mr H! Safe travels home.